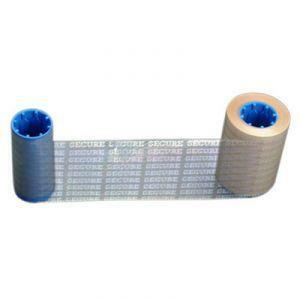 Genuine Zebra holographic lamination 800015-032. Laminating your organizations ID cards provides them with an extra layer of security and giving them more durability while keeping them more secure. Holographic laminate is ideal for placing a secure hologram images on your organizations cards to stop with tampering and for anti-counterfeiting measures. A Zebra printer with lamination capability is required in order to laminate your ID cards. Compatible with the following Zebra lamination printers: Zebra P500 and the P520 printer series.